The sweetest finance tracker is getting sweeter with every update! Money 5.4 is the fourth major feature addition to Money and is a huge functional complement to the Direct Downloads functionality enabled with Money 5.3, which will make Money even more powerful in day-to-day finance tracking and management. 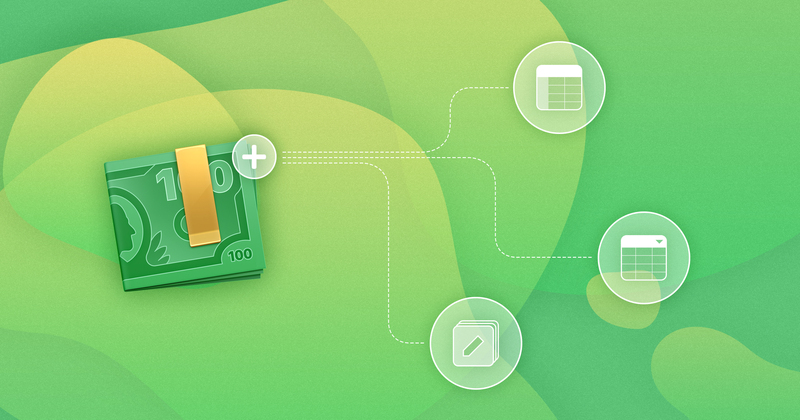 First and foremost, Money 5.4 brings more than what meets the eye. We have completely redone iCloud sync framework, to dramatically increase sync speed, and make it much more seamless than before. This is something, we hope our users will never get to see, simply because of how well it works. Reworking iCloud sync from the ground-up was necessary to establish a base for more advanced features that we have planned for Money in the future. Other additions to Money are much more visual. With Money 5.4 for Mac, we’ve enabled an option to switch between the current modern view, and classic table view, which is much more condensed, presents data in columns, and allows much more sorting flexibility. This can be toggled in the View section of the menu bar. Did we mention you can now edit multiple items at once? Additionally, we’ve done a little extra for users, who are still unsure whether Money Premium is right for them. Now, users who opt-in for a 1-year Money Premium plan, will get a 1 month for free to try it out and see if it’s right for them. Naturally, users will not be charged before the trial period ends, so the plan can be canceled any time. The free version is limited to 100 transactions, while unlimited offline accounts and transactions can be recorded with a one-time Money Standard purchase, and Money Premium (Mac only), available in convenient monthly and yearly plans, enables all Money Standard benefits plus over 50,000 financial institution connections across 57 countries.